"The Kunsthistorisches Museum (English: "Museum of Art History", also often referred to as the "Museum of Fine Arts") is an art museum in Vienna, Austria. Housed in its festive palatial building on Ringstraße, it is crowned with an octagonal dome. 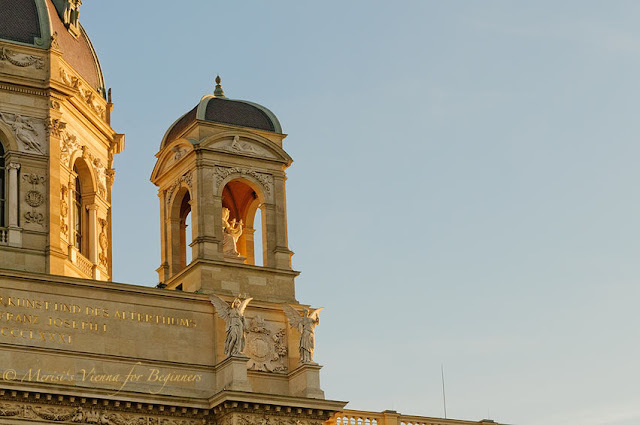 The term Kunsthistorisches Museum applies to both the institution and the main building. It was opened around 1891 at the same time as the Naturhistorisches Museum, by Emperor Franz Joseph I of Austria-Hungary. The two museums have identical exteriors and face each other across Maria-Theresien-Platz. Both buildings were built between 1872 and 1891 according to plans drawn up by Gottfried Semper and Karl Freiherr von Hasenauer. The two Ringstraße museums were commissioned by the Emperor in order to find a suitable shelter for the Habsburgs' formidable art collection and to make it accessible to the general public. The façade was built of sandstone. The building is rectangular in shape, and topped with a dome that is 60 meters high. The inside of the building is lavishly decorated with marble, stucco ornamentations, gold-leaf, and paintings."